There are 29 posts in this thread, and it has been viewed 13214 times. There's also files attached. The fire jets in the upward scrolling section of the Egyptian temple got me. 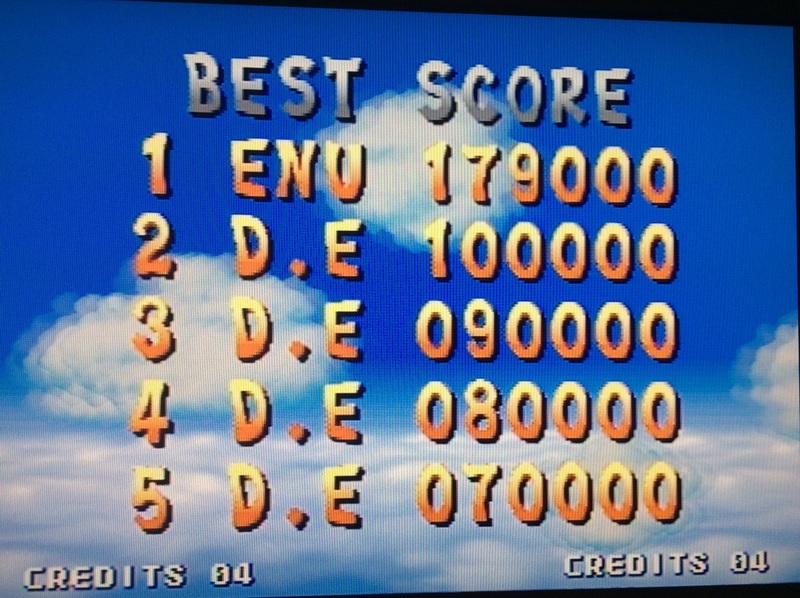 I'm pretty inexperienced with this game, so with a little practice that's a very beatable score. Hi Reelmjo and welcome back to the HSC section. It's been a good while since I have been to this site so I decided to pay a visit today and seen the Spinmaster score challenge. I barely beat the leader and I died in the very exact area he did(it's a lot tougher than I first thought it would be) I don't expect to be #1 long but to be a part of it is enough for me. Cheers to all! You take the pole position, well done! Scoreboard and medals are updated. Thank you eternally like I say just for making a site like this even possible is a great service same go's for all who run it down to all who visit. Got to the final boss and almost beat it. I learned some useful things from Gemant's super tricks guide such as the location of an extra life in stage 2-3 and where some food was located. 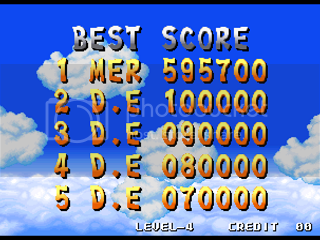 I think this is probably one of the easiest games on the Neo Geo. Go for a 1CC, Merlin! I finally managed it Priest. I think it's best to stick to mainly using the shurikens since they're fast, have a good spread and can be aimed diagonally down left and right. Knowing where the hidden food, bombs and extra lives are really helps too. Overall a very easy game. Job well done Merlin I am beyond impressed! Thanks Lavabeast. Good to see you taking part in the challenges. 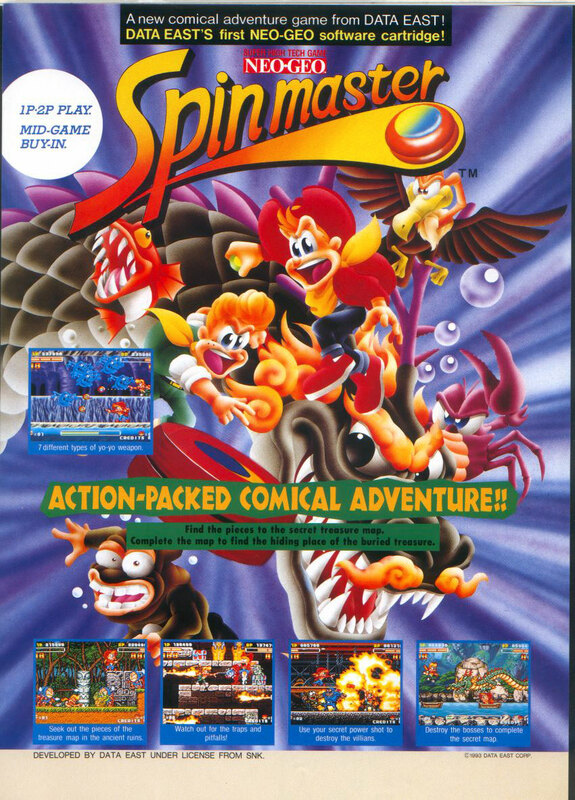 I'm sure with only a small amount of practice you could also beat Miracle Adventure on one credit. It took me around 6 hours of practice. More people should post scores for this game! hours of practice. More people should post scores for this game! I played through it again today with several continues just to see how the rest of the game is and maybe get a feel for it and it was pretty wild hahahahaha the last boss is pretty tough he's no Omega Rugal (whom I loathe hahahahaha) but still pretty tough to me. The hidden goodies you talked about was a good find and helps greatly. Yeah I hope that more people decide to take part I'm actually trying for the Samurai Shodown IV score and it's a lot tougher than I thought it would be hahahaha but I have an amazing time playing and score or not it's awesome to be active here. Maybe some cheerleaders will help, if I can�t convince you? First of all I want to congratulate to all the players pushing their limits here. Congrats algo to Merlin, great job! This takes me to an important question: Can you stay in one spot shooting to flying knives to score more points? Is that legal or you'd call that glitching? I'll play a game and post my screen capture as soon as I get your answear and know how I must play the game. Spin Master top score in the world is 999.999 pts. Is made in 1994 with default settings, level 4. The second best score was 969.000 in the same year. Top score in web is mine with 817.000 pts made in 2005. Leeching in this game is legal. Wow Gemant, thanks a lot for the info! Good to know I still have some challange to face. 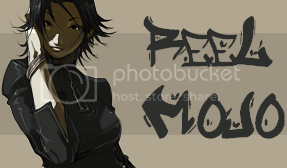 Gotta record the recinput and upload it on youtube, hope I can have it done in a couple of days. 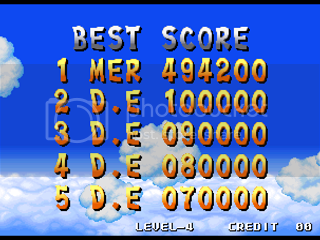 Gemant, is it possible to see those highscores in video somehow? I know there are some spots where I could score more point, but I'd love to see those gameplays. Thanks! 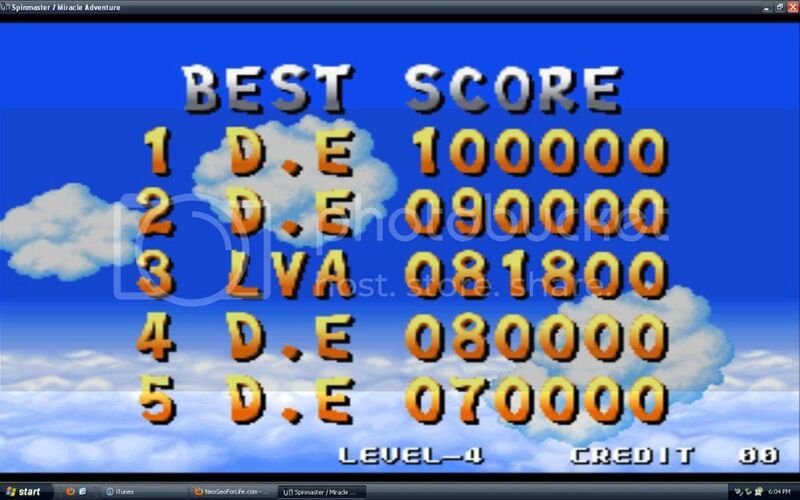 Gemant, is it possible to see those highscores in video somehow? I know there are some spots where I could score more point, but I'd love to see those gameplays. 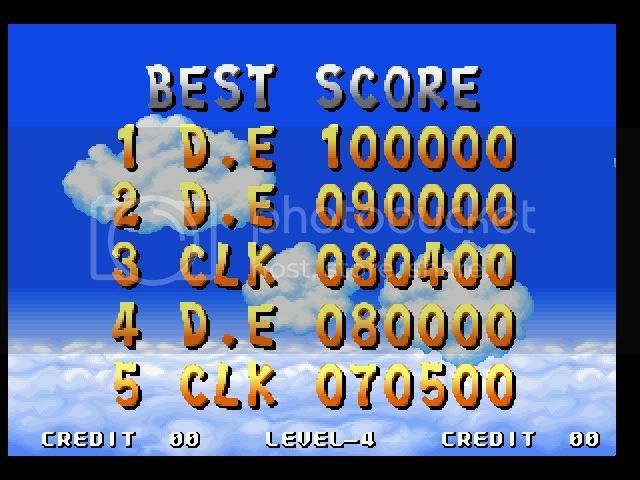 Not possible, because these score above 900.000 pts are played in arcade game center in japan 18 years ago, and not on emulators. Probably are no miss all clear with 4 lives in stock, and full treasures 1.000 pts (50+).